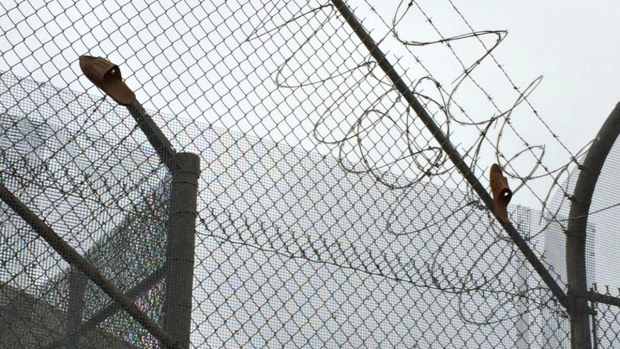 The Santa Clara County Sheriff’s Office is investigating the attempted escape of an inmate from the Elmwood Correctional Facility in Milpitas - one who was trying to leave so fast, he left his jail-issued sandals clinging from the fence. The failed attempt, first reported by NBC Bay Area, happened Sunday afternoon, according to Santa Clara County Sheriff's Sgt. James Jensen. Newly installed video cameras helped a deputy spot the inmate, identified as Christopher Boscacci, climbing and then falling from the "candy cane" fencing. Boscacci would have been released from jail on Monday for petty theft, but now faces charges in connection with the attempted escape. The district attorney said the penalty for trying to escape can vary, depending on whether the inmate used force or violence. Deputies said Boscacci ran on top of the first of three security fences for roughly 50 yards. He then got to the west end of the jail and grabbed on to a power line. 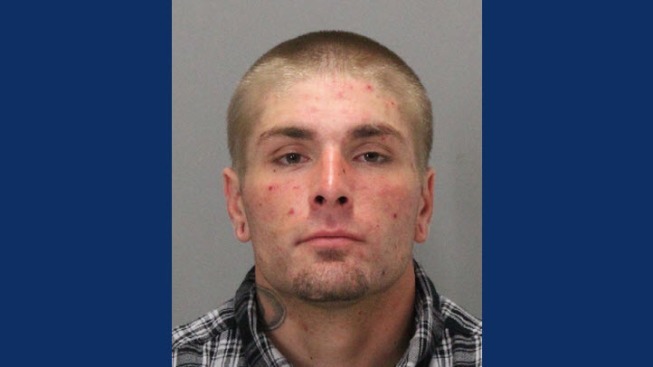 Sources told NBC Bay Area on Monday the inmate made it over the first line of security fencing, but was arrested before he climbed over the second fence that surrounds the perimeter of Elmwood. Boscacci suffered some injuries during the fall. The cameras were only recently installed, after an NBC Bay Area report citing the lack of cameras along Elwmood’s perimeter. "It's great we have these cameras," Sheriff Laurie Smith said. "The two deputies prevented an escape." Crews spent Monday repairing the damaged fencing and reassessing the overall security measures at Elmwood Jail.